Transfer to State Archives: Check. 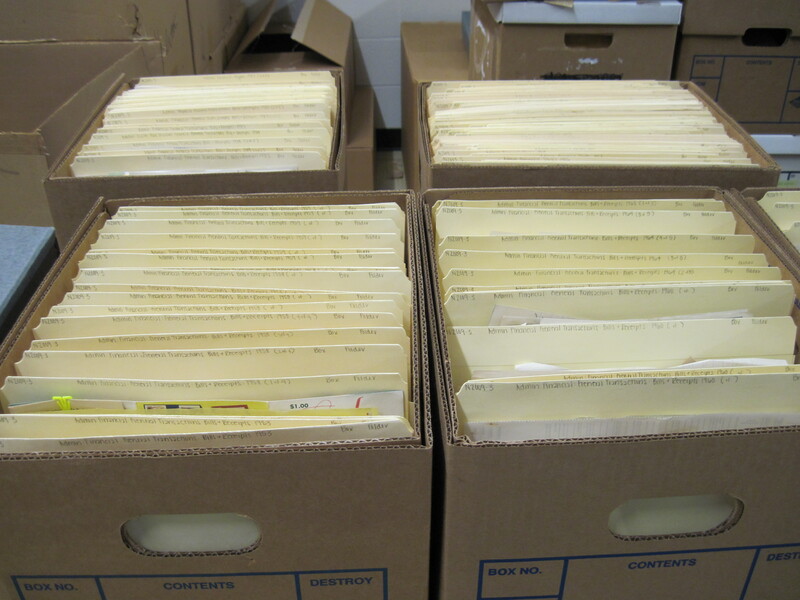 Initial sort of boxes: Check. Now it’s time to begin detailed processing; but where to start? Something especially intriguing, such as members’ personal correspondence? Something likely to be very heavily used and with great exhibit potential, such as photographs? 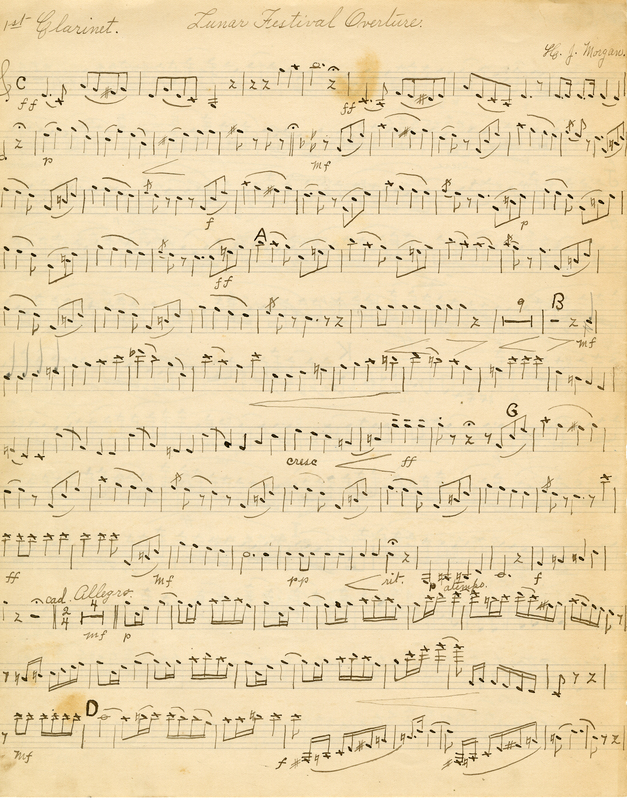 Something fun, such as the Koreshans’ sheet music collection? We decided upon a two-pronged approach, addressing both the photographs and the administrative and operational records of the organization first. Not only will the photographs be heavily used, but about 1,000 of the images will receive item-level cataloging and be made available on the Florida Memory website with the assistance of a federal grant from the National Historical Publications and Records Commission (NHPRC). 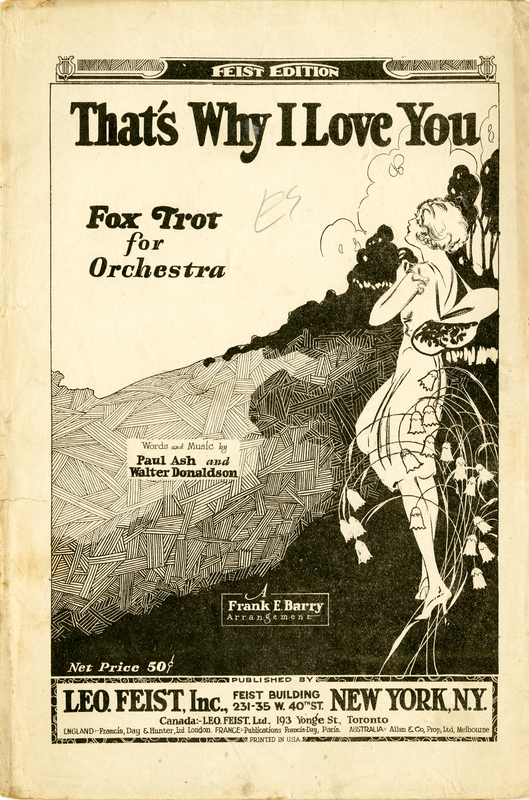 Most of the photographs were grouped together in plastic cases or scrapbooks. Most were fairly well identified, and those that were not were usually easy to identify based on their context among better-identified photos. The photos included a small number of glass plate negatives, primarily portraits of Cyrus Teed that also exist as prints, but also images of Teed’s body after his death that apparently are the only such images in existence (see Part Three of this series). 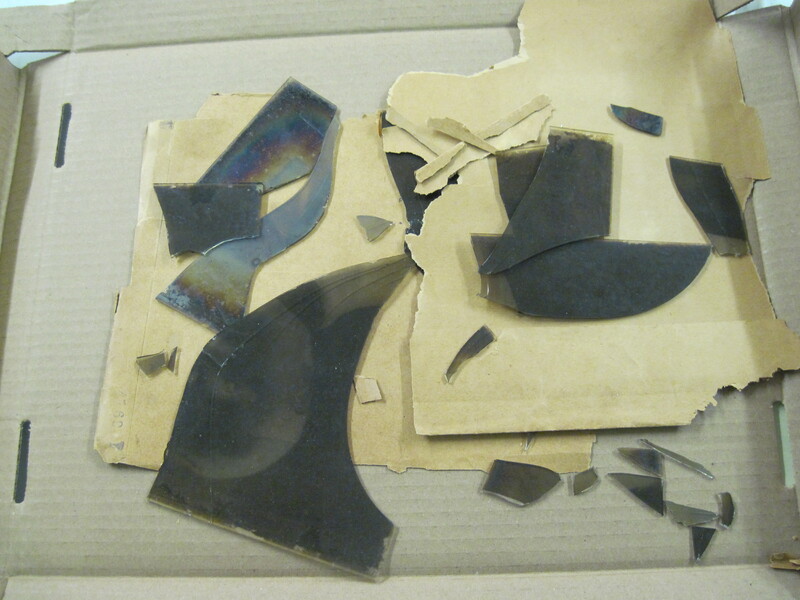 The glass plate portrait below did not survive the trip from Estero to Tallahassee; fortunately, the rest of them did, and they are being placed in custom enclosures to prevent any future damage. 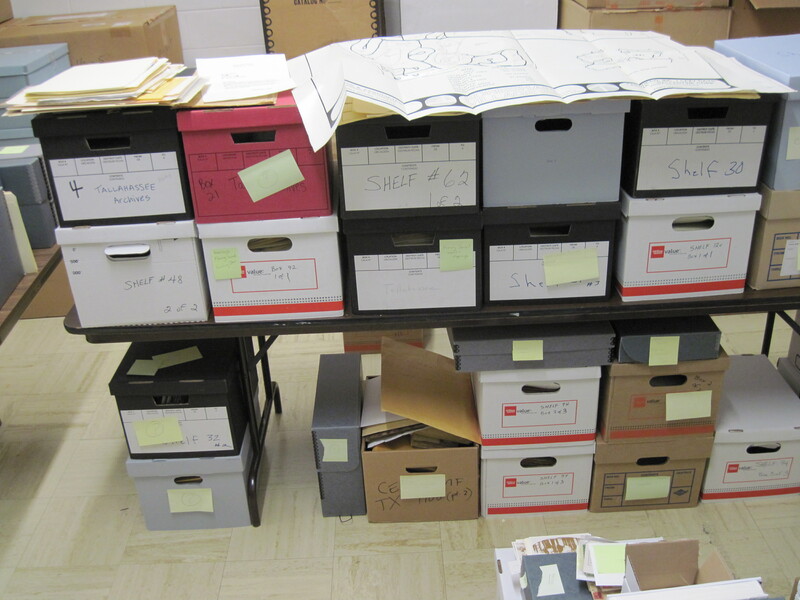 to well-organized, clearly-identified archival folders and boxes such as these. Along the way, we’ve discovered a number of unexpected items in the collection. More on that next time! Super cool posts. Please keep sharing! Thanks so much. Glad you’re enjoying these posts.